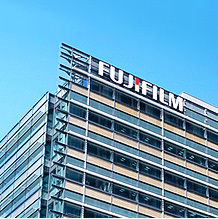 Fujifilm Australia is a signatory to the Australian Packaging Covenant. As stated on the APC website "the Covenant is a voluntary initiative by Government and Industry to reduce the environmental effects of packaging. It is designed to minimise the environmental impacts arising from the disposal of used packaging, conserve resources through better design and production processes and facilitate the re-use and recycling of used packaging materials."